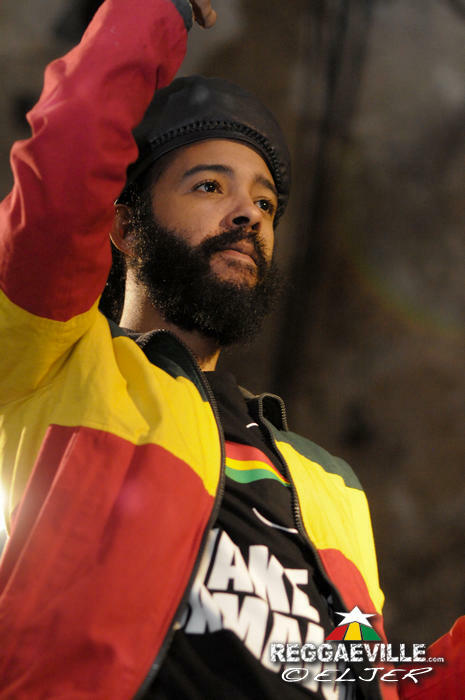 "I know the energy is high but we're going to raise it even higher" says Protoje to a sold out packed U-Club in Wuppertal as all lighters go up for the mystic Hail Rastafari. At this midway point in the set it's inconceivable how he and The Indiggnation band can wring any more excitement and engagement from a crowd who are bouncing off the walls, the ceiling and floor. As Protoje will remark after the show - they don't just sing all the choruses. They know every verse. Already we've witnessed Danny Bassie punch everyone simultaneously in the chest with the bassline to Lord I Pray. We've seen Germany's public smoking ban instantly defied en masse during This Is Not A Marijuana Song. Protoje has ripped apart Rasta Love just as things were getting too sweet with a rendition of Buju's Walk Like A Champion and the disembodied voice of Errol Dunkley filled the room for Black Cinderella. We've even had a short lesson in "the difference between auto-tune and vocoder" as keyboardist Paris sings through the latter on new single Stylin' from next year's third album Ancient Future. And from there it just gets more intense. Protoje will showcase a brand new song, Criminal ("I want to play something not even released yet. I've not even sung this in Jamaica. No YouTube, no YouTube…"). He'll sing Nirvana's Smells Like Teen Spirit during Kingston Be Wise and a line from Chronixx' Alpha and Omega during Music From My Heart to further underline that the mission is not a competition. He'll shadowbox like Floyd Mayweather while Jason Worton will play the guitar with his teeth and make dubwise effects with a slide. 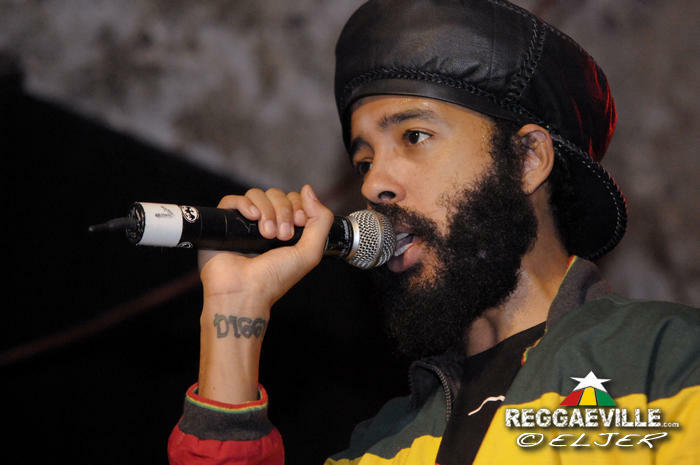 At times Protoje's expression seems almost placid on stage. Yet there is a steely surety and pinpoint accuracy to the way he steers the vibes (in the same easy manner that he receives an interview question before delivering a rigorously considered answer that suggests he's thought about the whole subject many times before). "This is one of the greatest nights I've ever had playing music" he says before leaving, and you sense - what with YouTube and all - that he doesn't say that every night.